During the International Women’s Day strike, Margaret Atwood was working hard to share her thoughts about feminism. I am so shrieking old that my formative years (the ‘40s and ‘50s) took place before 2nd wave late-’60s feminist/women’s movement. But since I grew up largely in the backwoods and had strong female relatives and parents who read a lot and never told me I couldn’t do such and such because of being a girl, I avoided the agit-prop of the ‘50s that said women should be in bungalows with washing machines to make room for men coming back from the war. So I was always just very puzzled by some of the stuff said and done by/around women. I was probably a danger to myself and others! 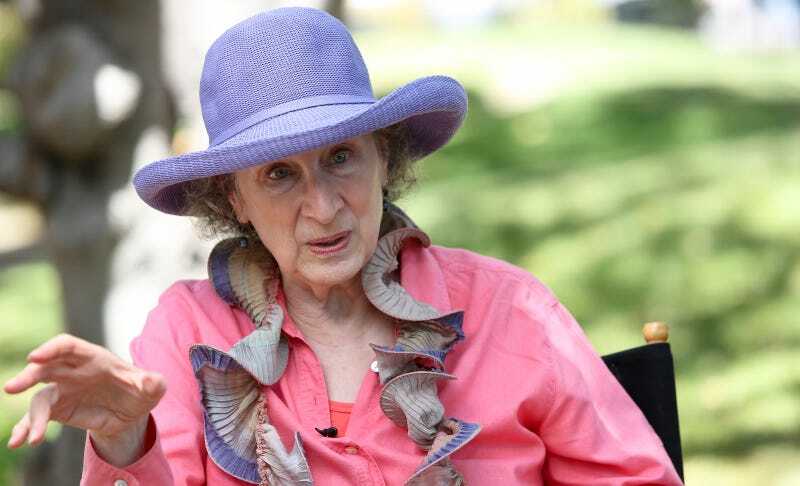 When asked, “How does it feel knowing America is basically on the road to becoming Gilead?” Atwood responded with something a bit more hopeful than you might expect. “I cannot tell you how strange this feels. I wrote the book hoping to fend it off, and I believe it will be fended off: America is very diverse, a lot of people have been jolted out of political slumber and are paying attention, and the Constitution still stands,” she said.